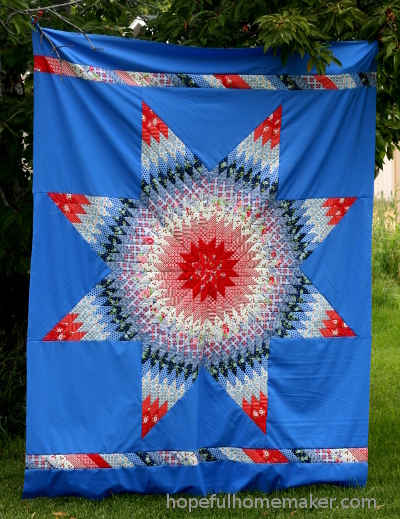 Lone star quilts are popular right now, and I love seeing them! 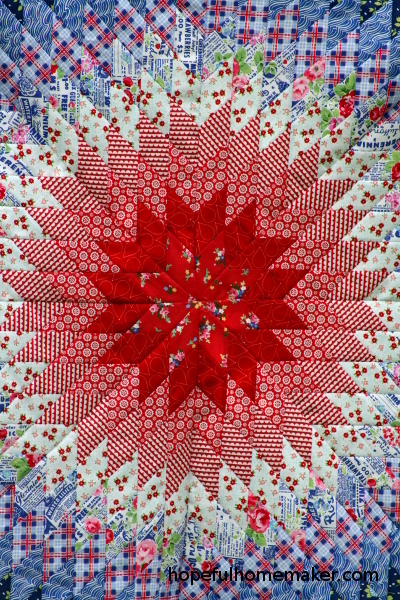 It’s a great block for every quilter to master, and the results are always striking. 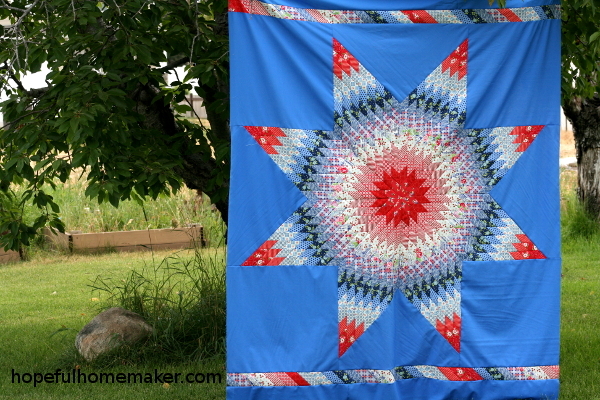 I’ve been making lone star blocks for several years now, and this is my most recent project, the Lucky Lone Star Quilt. This lone star was a joy to make! After writing my lone star quilt block tutorial a few years ago, I’ve wanted to make a traditional lone star quilt. The challenge was, what should it look like? I asked myself this question: “If I walked into an antique shop and found the perfect vintage lone star quilt top, what would it look like?” Then I made it. The red, white and blue color scheme was an easy decision. I went through my fabric stash to find prints I liked together in the proper amounts so the star could be made using what I already had (“make it do” seemed to play along with my vintage theme so I ran with it). I strip pieced my fabrics using the same principles in the basic lone star block tutorial, adding the necessary number of fabrics and strips. Once the star was pieced, I pondered background options and asked myself, “What would be the surprise about this quilt top that would make it my perfect vintage lucky find?” The answer was a beautiful royal blue (and the question inspired the quilt’s name). The bright blue took a bit of courage – I kept wondering if it added a vintage or a modern edge and concluded it was both – but I took a deep breath and went for it. I love it! 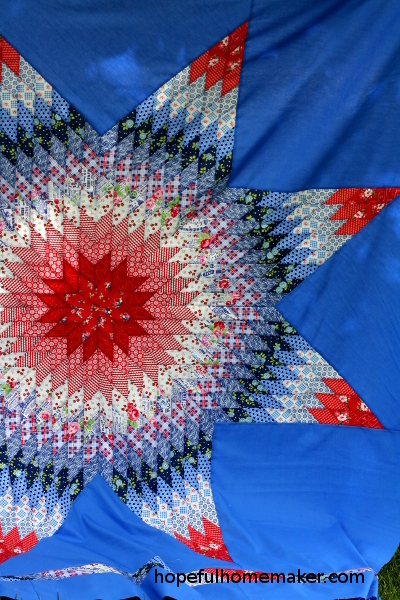 I added a couple of top and bottom borders and now this Lucky Lone Star Quilt is ready for quilting. I’ve also written the pattern, which is available here, so you can make your own. Very pretty! The blue looks great. The Lone Star is on my bucket list. I love it too. It’s exactly as you describe – vintage and not vintage at the same time. And the blue is just right.